Open your eyes to quality vision! Patients Receive 30% OFF Second Pair of Glasses Purchased Within 30 Days! Welcome to Mackey Vision Center. We look forward to helping you with all of your eye care needs. Call us at (606) 528-1143 today. 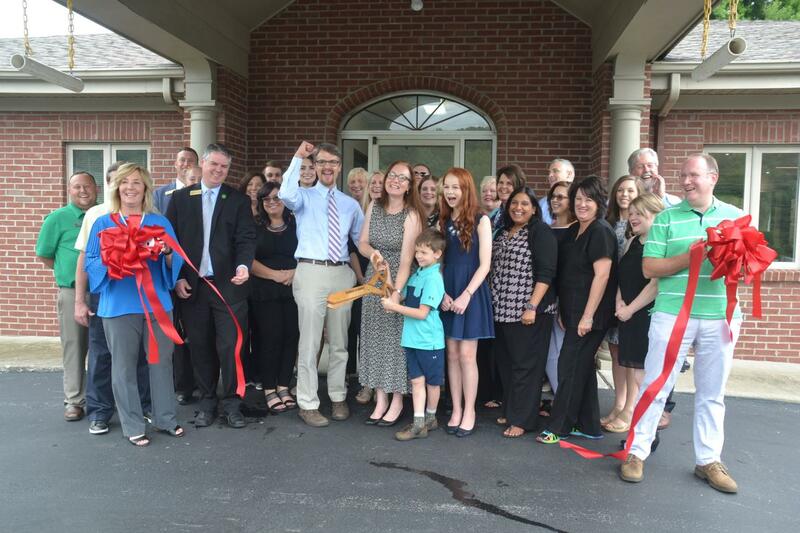 Pictured are Ben Mackey, MD, Kayla Smith, OD, Andrew Durant, OD, with Mackey Vision Center surrounded by the center's staff, their family and members of the Southern Kentucky Chamber of Commerce during the grand opening ceremony of the optical boutique. Complete Eye Care in 2 Locations! Whether you are interested in contact lenses, glasses, or maybe just need an appointment, we here at Mackey Vision Center will provide you with quality eye care for your whole family. Mackey Vision Center has been serving Southeastern Kentucky for over 50 years, and look forward to serving the community for many more to come! In addition to our daily staff of doctors, we are pleased to also share our office with Peter Blackburn MD and David Cowen MD. Peter Blackburn MD, is a board certified retina and vitreous specialist and is on the clinical faculty at the University of Kentucky. Dr. Blackburn completed his residency training at the University of Colorado and then completed a retina and vitreous fellowship at UK in Lexington. David Cowen MD, from Center for Oculoplastic & Aesthetics Skin Care, visits our office once a month specializing in management of deformities and abnormalities of the eyelids. He is a certified member with the American Society of Ophthalmic Plastic and Reconstructive Surgery. Please contact our office regarding scheduling. 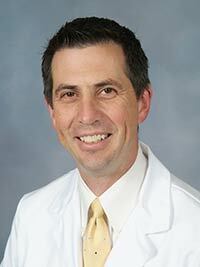 Dr. Benjamin Mackey MD was born and raised in Corbin and attended Saint Camillus Academy. He went on to Transylvania University and then to medical school at the University of Louisville where he graduated with honors in 1998. He then completed his ophthalmology residency at Georgetown University in Washington, DC where he served as chief resident. Dr. Mackey was board certified in 2004 and specializes in anterior segment surgery, including complicated cataract extractions. We will do our best to accommodate your busy schedule. Schedule an appointment today! Call us Monday through Friday 8:30 AM through 5:00 PM. "The best eye doctor I have ever met; explained more to me than any other doctor ever did. I would recommend him to any one needing an eye doctor. The staff was great and I didn’t have to wait a long time for my appointment." "Dr. Mackey voted Best eye Doctor for 2010 in the People's Choice Reader's Poll"
"Dr. Mackey was out ill, but the staff (Rhonda, especially) and Dr. Smith stepped in and allowed me to be able to get new glasses before we left for our winter home for three months. Thanks, so very much!" "My visit was very good, best service anyone could expect. It is nice to be treated as good as your staff treats people. I would refer anyone to you." 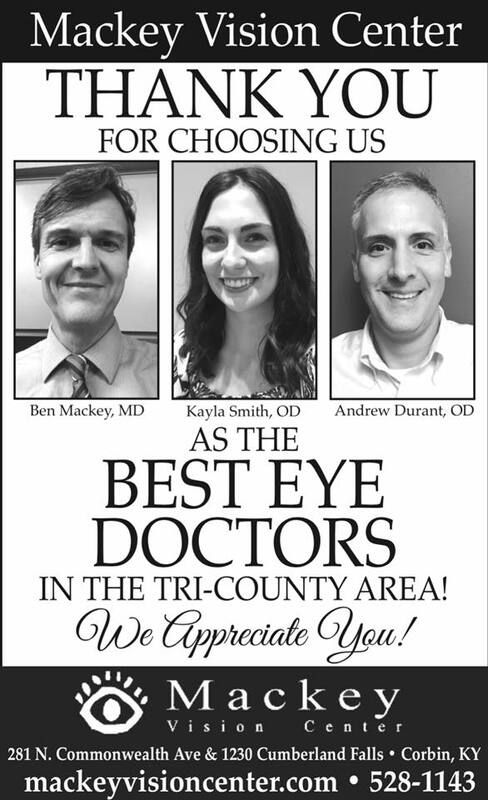 "Mackey Vision Center won the 'Best of the Best Eye Wear' Award for 2015 and 2017 by the readers of the Times Tribune." "Visit to both offices was both courteous & professional. I am very, very pleased with being your patient. I have received testing from you that I never received before, even though I was told it was done. Thank you all for caring about your profession!" "I really like the way Dr. Mackey greets me with my name and a handshake. I feel there is a very professional atmosphere in the office and everyone is friendly and helpful. I’m looking forward to there being a place to get new glasses." 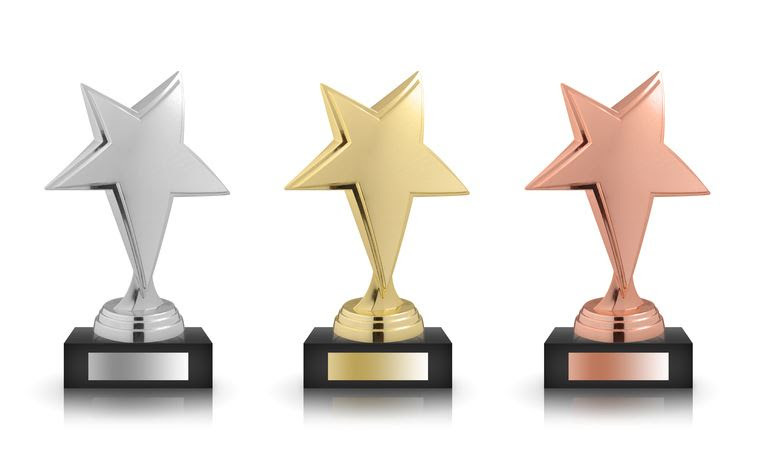 "Dr. Mackey was Voted Peoples Choice 'Best Eye Doctor' for 2016 by the News Journal Readers Poll."